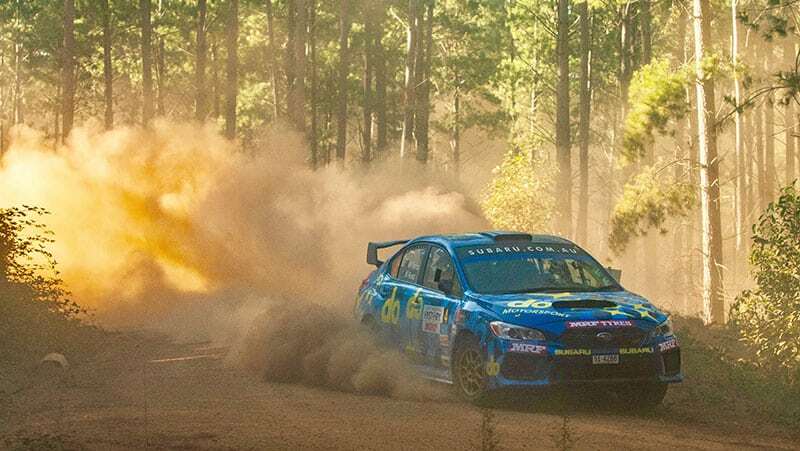 The Orange Motorsport Engineering-prepared All-Wheel Drive Subaru WRX STI finished Heat 1 in fourth place after a modest start on last night’s two quick Super Special Stage runs around Busselton’s Barnard Park. The two sixth places last night gave little indication of the Production Rally Car (PRC)-class WRX STI’s true potential. But it was on today’s forest stages outside of Nannup, East of Busselton, that the Rex started to show its capabilities. The afternoon repeat of today’s longest stage, the 17.85 kilometre Ellis, saw the Subaru duo shave 25 seconds off their morning time – indicative of their growing familiarity with the new car. The two final short runs around Nannup Oval – at just 0.85 km – made no difference in final placing, giving Subaru do fourth place on heat. Molly said: “It’s great to be up and running again, and the Orange team have put in a huge effort to prepare the new car to a really high standard. “The dust was almost like a red fog at times this morning, so we had to be a bit cautious, but the decision to increase the gap to three minutes helped a bit.